In the wake of the elimination of the federal cybersecurity czar position, the latest federal cybersecurity preparedness report from the Office of Management and Budget (OMB) and the Department of Homeland Security (DHS) shows that U.S. government is nowhere near ready for prime time when it comes to cyber-defense, with 74 percent of agencies lagging. These cyber risks can manifest themselves in many ways, including new attack vectors, the operation of outdated and unsupported IT and malicious links and email attachments. When it comes to all of these, agencies need to “take bold approaches to improve federal cybersecurity,” according to the report. The result? A damning picture emerges from the report, of enterprise-wide gaps in network visibility, a lack of IT tools and capability standardization, and no common operating procedures or policies. In fact, situational awareness is so limited that federal agencies could not identify the method of attack, or attack vector, in 11,802 of the 30,899 cyber-incidents (38 percent) that led to the compromise of information or system functionality in fiscal year 2016. Things are particularly bad when it comes to data loss and exfiltration prevention: only 40 percent of agencies report the ability to detect the encrypted exfiltration of information at government-wide target levels. Only 27 percent of agencies report that they have the ability to detect and investigate attempts to access large volumes of data. Further, only 16 percent of agencies have properly implemented encryption on data at rest. No Need for a Cybersecurity Coordinator? The news comes hard on the heels of several senators calling on new national security advisor John Bolton to reinstate the position of cybersecurity coordinator on the National Security Council (NSC). Although the risk report details a lack of coordination and standardized tools and processes to be at the heart of the problem, the White House eliminated the coordinator position in mid-May, which was tasked with developing cyber-policy as a core function of national defense. “Today’s actions continue an effort to empower National Security Council Senior Directors. Streamlining management will improve efficiency, reduce bureaucracy and increase accountability,” NSC spokesman Robert Palladino said in a media statement at the time. The move drew immediate backlash. “I don’t see how getting rid of the top cyber-official in the White House does anything to make our country safer from cyber-threats,” Sen. Mark Warner (D-Va.), the ranking Democrat on the Senate Intelligence Committee, wrote on Twitter last week. A group of 19 Democratic senators sent a letter to Bolton last week urging him to reconsider the move, calling it a “step in the wrong direction.” It followed another bipartisan letter to the same effect, from Sens. Susan Collins (R-Maine) and Martin Heinrich (D-N.M.) to President Trump. That said, not everyone is concerned. Joyce stepped down as cybersecurity coordinator shortly before the position was eliminated, to take up his NSA post. 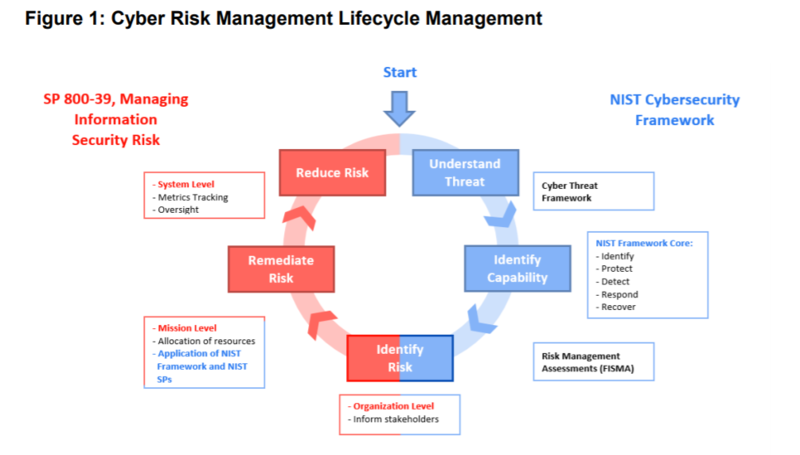 To help tackle the problem, OMB and DHS set out a few core actions that agencies should take, starting with information-sharing and a coordinated implementation of the NIST cyber-threat framework using a recommended Cyber Threat Framework, to prioritize efforts and manage cybersecurity risk. 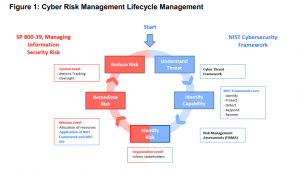 NIST’s framework for Improving Critical Infrastructure Cybersecurity creates standards for cybersecurity practices across various government agencies. This was a core tenet of Trump’s original cybersecurity executive order, handed down last May. It cannot, however, exist in a vacuum as the only deterrent. Thus, the departments also recommend that agencies standardize their IT and cybersecurity capabilities to control costs and improve asset management – which is also a goal originally set out in Trump’s cybersecurity order. It explicitly said that the entire apparatus of the federal government must move to a shared, consolidated network architecture and IT infrastructure, including email and cloud services. There is much work to do here: the report said that email, by way of phishing attacks, remains one of the most common attack vectors, thanks in no large part to sheer volume; the 23 civilian CFO Act agencies alone combine to have nearly 2.2 million email inboxes, with hundreds of thousands of additional inboxes across 100+ small agencies, OMB and DHS said. Hand-in-hand with that initiative is the need to consolidate agency security operations centers (SOCs) to improve incident detection and response capabilities. This includes efforts at attribution. And finally, OMB and DHS recommend driving accountability across agencies through improved governance processes, recurring risk assessments and OMB’s engagements with agency leadership.